Renegades as fake lawyers and fake press reporters. Some shocking news from Chennai Police department in the mass rowdies catch. Chennai Police department had arrested 76 local rowdies of Chennai on Tuesday night in a birthday party gathering of another local dhadha, Binu. Chennai city Police Commissioner A.K.Vishwanath had ordered to form a special team under Assistant commissioner immediately they got the information about the gathering. 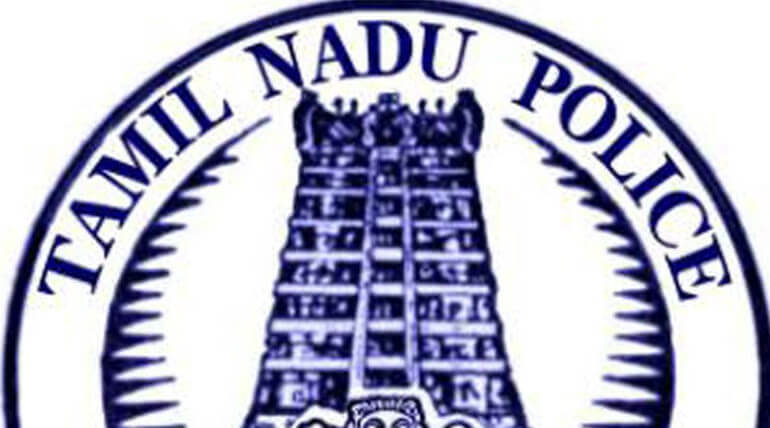 Poovirundhavalli, Porur, Nasrathpettai police stations have been alerted as the gathering was arranged near that area. Police officials in mufti have intruded the premises of birthday party where more than 120 local renegades have been invited for the celebration. The mufti officers have obtained many photographs from of that place like Binu the local Dhadha cutting the cake with a big knife cinematically and many other important renegades who are been searched by the department for months. Later when they received the orders police officials surrounded them with pistol barrels over their fore head and tied them back with their shirt. Police chased down some rowdies who tried to escape from there and dragged back some, who caught in their hands. Finally police have arrested 76 renegades and seized bunches of sword like weapons and 35 bikes and 8 cars from the premises. Today police department of Chennai had revealed shocking information that they have found some fake employee identity cards from a rowdy named Saravanan. One shows him as press legal advisor and as lawyer in another id proof. They found many fake id cards from them. Later those criminals have been sent to certain police stations in which they are under pursuit. The police said those criminals used those id cards for hiding from police and some time they used that to make crimes by running an office under illegal profit. Most of the criminals who caught in the mass catch have fake certificates of law colleges portraying they have completed a degree in Law and Bar Council ID of Andhra Pradesh. Some of them are real law college students. This rare mass catch of the Chennai Police department had proved there is presence of law and order in Tamil Nadu.